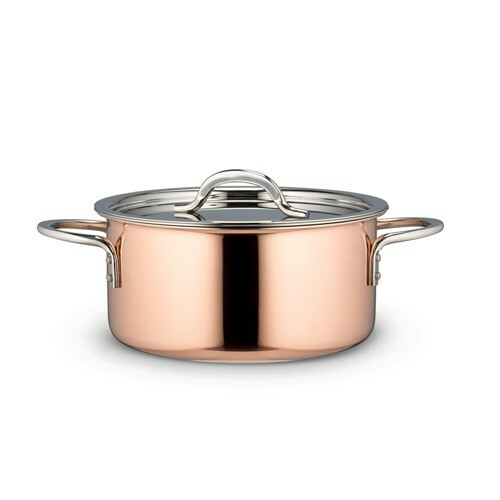 LionsDeal > Cookware > Pots & Pans >< Copper Cookware > Bon Chef 60300-Copper Country French Copper Pot with Cover, 2 Qt. 9 oz. Bon Chef 60300-Copper Country French Copper Pot with Cover, 2 Qt. 9 oz.